except that I am not...completely. This girl here is attending a full time school for the first time evah! But I knew I wanted 'pockets', if you will, of journaling and words to encourage and lift her up. 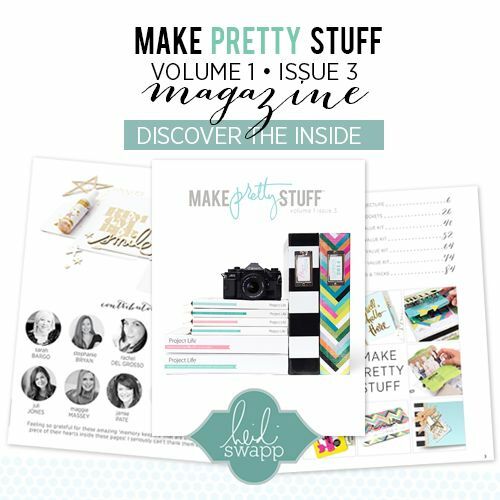 So I took a collection of different kits and elements from Heidi Swapp's new Project Life line and simply went with a pocket scrapbooking method. this is a page just for her book. and I really love how it went. I took one of the watercolor cards from the Color Magic Value kits and used the Project Life stencil to add a few polkas. 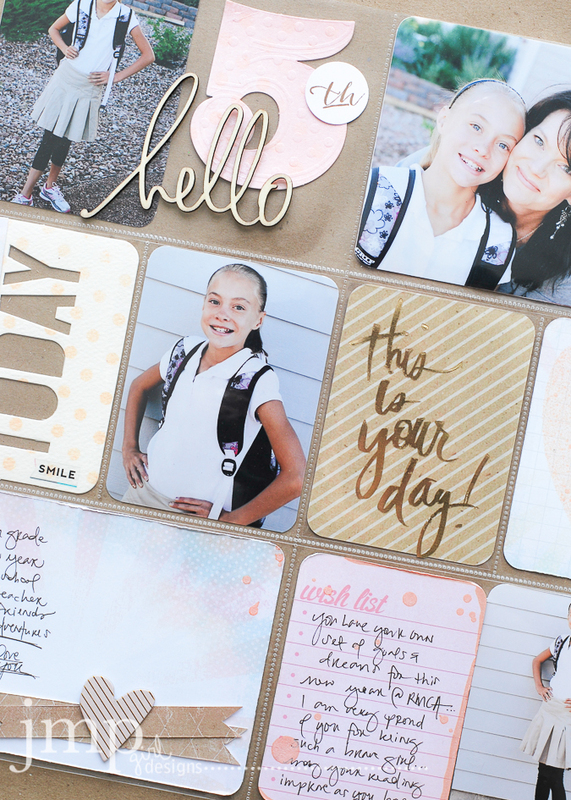 A Sheer Sticker was added to the page as well as some notched banners I trimmed from a journal card that belongs to the Dreamy Core Kit. 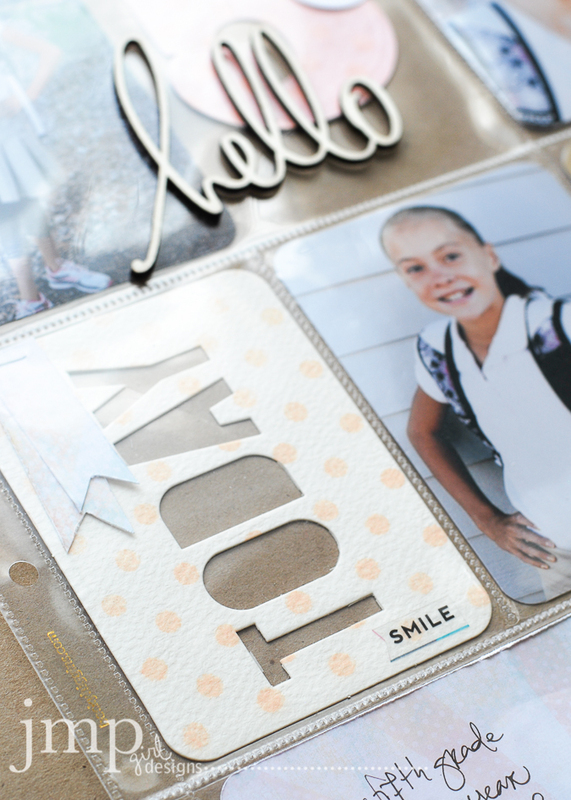 Here I advertised this girls grade with an Embossed Jumbo Number. Used the polka dot stencil for a subtle hit of color. 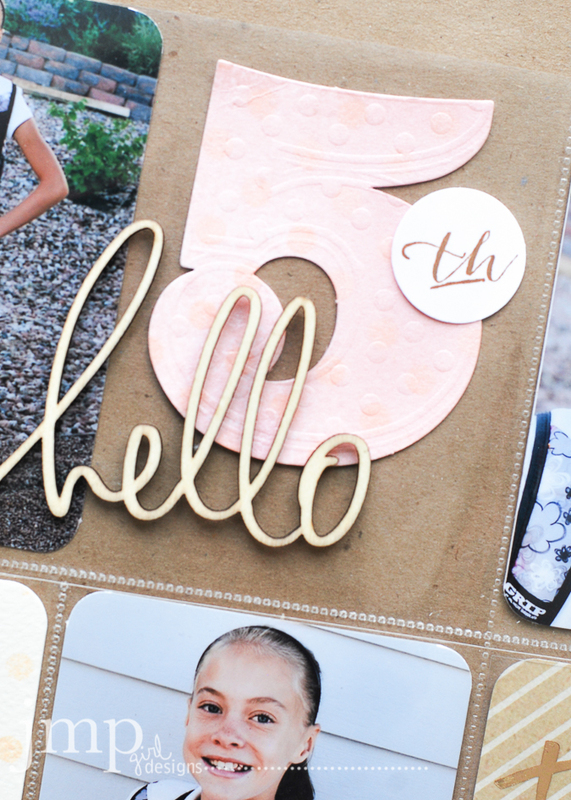 The 'hello' is from the CM kit and was left natural because it complimented the rest of the page. Stamp is from the Numbers Stamp. Have you discovered the Foil Pocket Pages yet? 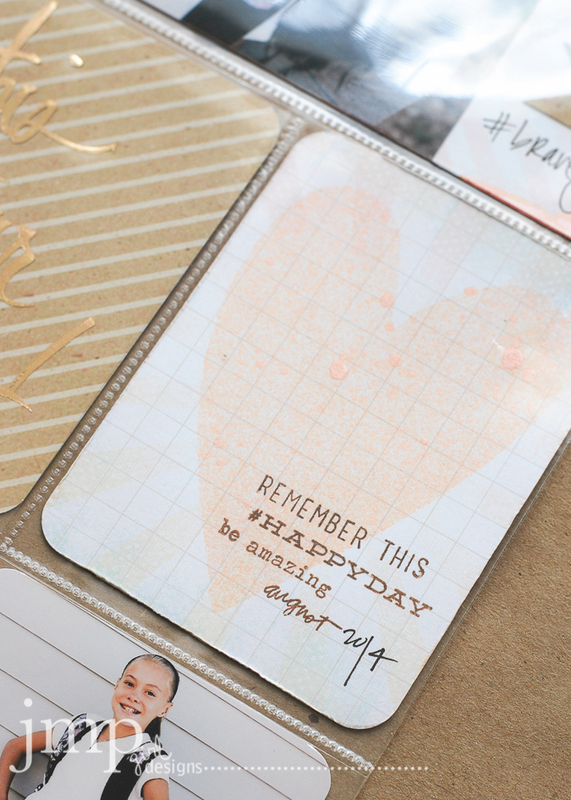 Pocket pages with clear inserts that include gold foil classic Heidi Swapp handwriting. Talk about dreamy! This could be used plain in a pocket or backed with pattern paper like I used here from the Dreamy Kit. 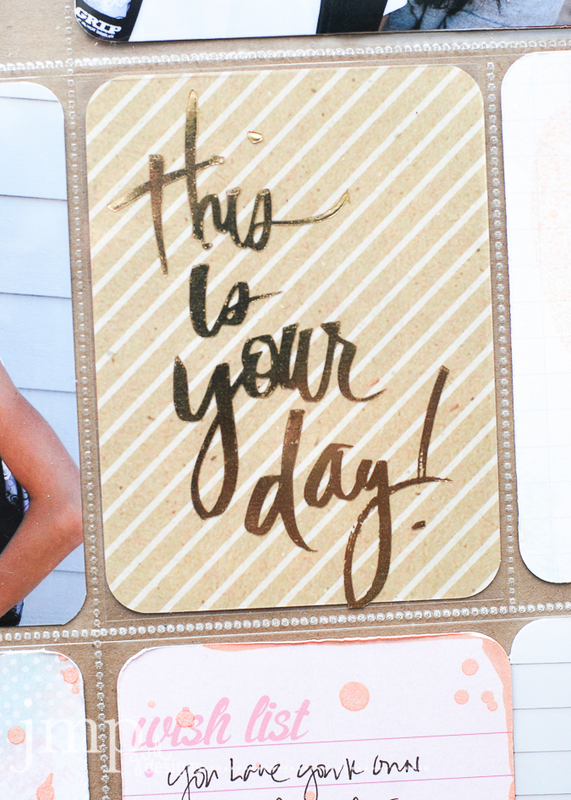 Another stencil was put to work here on a journal card from the Dreamy Kit and then stamped up including that cutie date stamp Heidi released with this collection. Can you say cutie? This page has a mix of creative qualities that took a bit more time. I mean, because I think the feeling is that pocket page scrapbooking should be quick-in-a-hurry. And it can be! No doubt. But I just can't help myself. With stencils and stamps and beautiful journal pages that I can't help but cut up (did I say that out loud), the creative in me just goes to play making even these simple pocket pages pretty stuff. 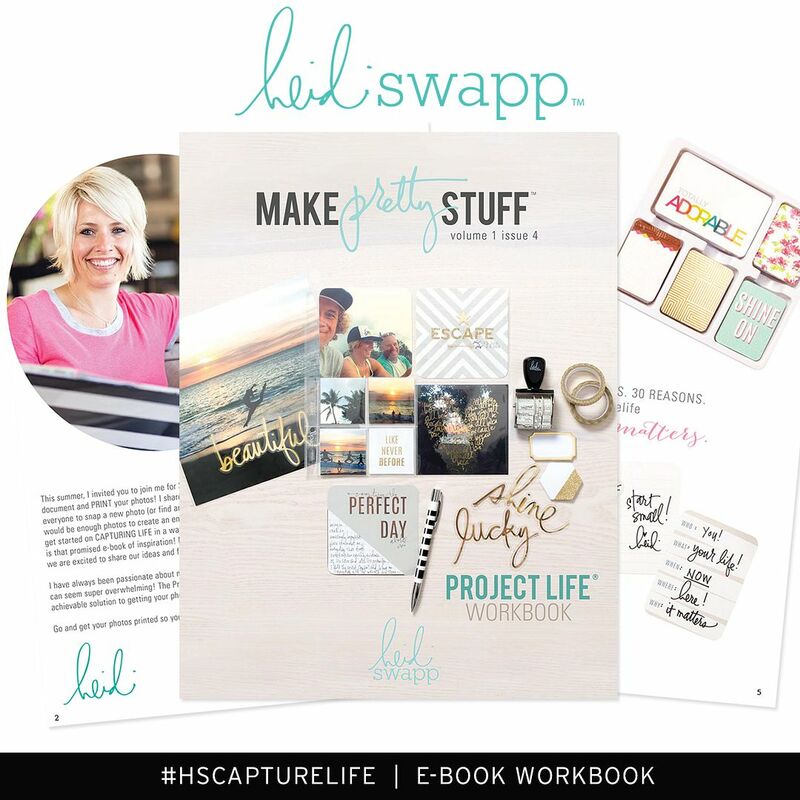 Hope you too are enjoying the new Project Life by Heidi Swapp. Wow, love every single card, element, stamp and hand writing! 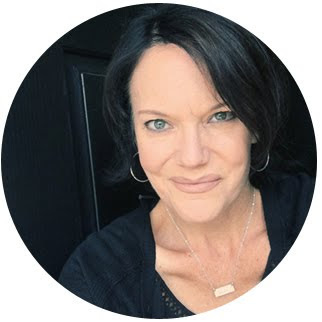 Thank you for sharing and inspiring, love your style. Thank you!